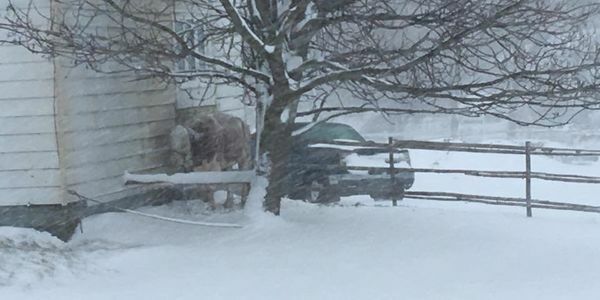 On December 16, in Torbay, Newfoundland, witnesses observed and photographed a cow tied to a short rope, covered in snow, outside, without any shelter in a blizzard. Authorities were contacted, but they claimed there was supposedly nothing that could be done. This is an obvious case of blatant cruelty on part of a farmer that has numerous complaints against him. This past spring, the same farm had three horses who were severely neglected. One did not survive. No charges were ever pursued. This petition has been started to ask the public to stand up and demand that the authorities take care of animal cruelty cases within its borders. The public needs to know that this farmer will be investigated, and that animal cruelty complaints will be taken seriously. To top it all off, the farmer, when contacted, assured people that the cow would be moved into shelter shortly, but witnesses note that the cow was simply moved to the backyard behind the house, out of sight of the public. Craig Scott (Mayor of Torbay) and Nick Whalen (Member of Parliament), we demand action! This cannot be allowed to continue. This farmer must face charges, and must be prohibited from owning animals in the future! Sign to demand justice for this cow!